Airlines are also redirecting their flightpaths to avoid the area where flight MH17 crashed, according to Flightradar24. 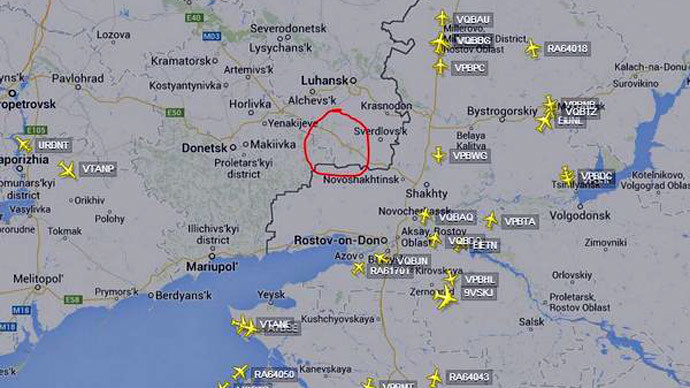 NOTAM has also informed US airlines not to fly in the Ukraine area. A number of airlines around the world have announced they are going to reroute flights to avoid Ukrainian airspace. The list of companies includes Russian Aeroflot, UTair and Transaero, German Lufthansa and Turkish airlines. "After the incident we have decided to avoid Ukrainian airspace," a Turkish Airlines spokesman said. American airlines have also agreed to avoid airspace near the Russian-Ukrainian border, the Federal Aviation Administration (FAA) said on Thursday. The US Federal Aviation Administration issued a Notice to Airman (NOTAM)“prohibiting US flight operations until further notice”over eastern Ukraine. The restricted area includes the “entire Simferopol and Dnepropetrovsk flight information regions (FIRs).” No scheduled US airlines are currently flying routes through this airspace, the watchdog added. Air France and Virgin have decided to temporarily re-route flights to bypass Ukraine.Italy's Alitalia has also announced it is diverting flights away from eastern Ukraine joining the growing list of companies re-routing flights. The UK department of transport has ordered “flights already airborne” to bypass south-eastern regions of the country. Pilots around the world are being advised to plan routes that avoid the area, the statement said. 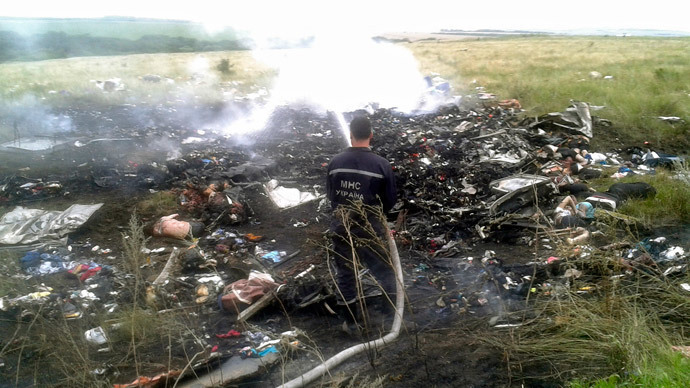 China’s aviation administration has ordered all Chinese airliners to avoid eastern Ukrainian airspace where flight MH17 has crashed, CCTV reports. Dubai-based Emirates Airline has turned around its Kiev-bound Flight EK171 which has returned to it airport of departure in United Arab Emirates. "The safety of our customers and crew is paramount, and we will continue to monitor the situation carefully," the company said in a statement. In addition Belorussian Belavia, Eva Air, Korean Air Lines, Asiana Airlines, and Swedish SCA, have all announced rerouting their flight patterns to avoid Ukraine. 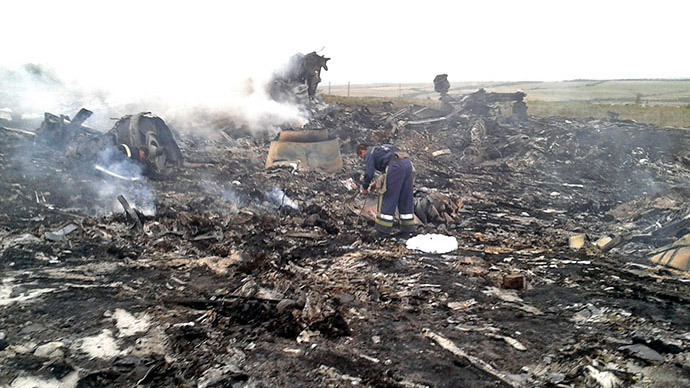 Flight MH17 crashed in Ukraine on a flight from Amsterdam to Kuala Lumpar, and was carrying 298 people. 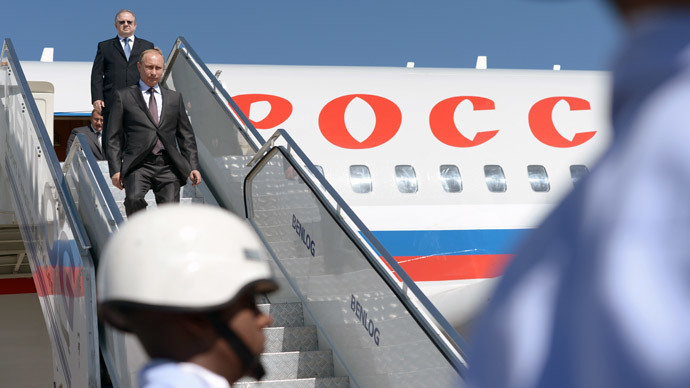 The flight was due to enter Russian airspace when contact was lost. Both Ukrainian government and anti-Kiev fighters have denied shooting the plane down. The EU air traffic control regulator - Eurocontrol – has closed the airspace over eastern Ukraine and has already started working on routes that would bypass the country. “Since the crash, the Ukrainian authorities have informed EUROCONTROL of the closure of routes from the ground to unlimited in Eastern Ukraine (Dnipropetrovsk Flight Information Region). All flight plans that are filed using these routes are now being rejected by EUROCONTROL. The routes will remain closed until further notice,” it said in a statement.